It’s been more than eight months since The Force Awakens, and we still have a while longer to wait until December and Rogue One, but in between you might be one of the many people who have been watching Star Wars Rebels for their fix. Season 3 will be here soon, but in the meantime, season 2 is coming out on DVD and Blu-ray August 30—and we’re giving you the chance to win it for free! All you have to do to enter is leave a comment in this forum thread between now and 7:00 p.m. on August 29 telling us your favorite character in the entire Star Wars universe. We’ll randomly pick two people to each win a copy of the complete season 2 on DVD! One entry per person. Full terms and conditions are below. No purchase necessary. Prizes will be fulfilled by Allied Integrated Marketing and shipped to winners at a valid address. Any other expenses incurred as a result of winning this prize, including taxes, are the sole responsibility of the winner. Total number of prizes to be given away is 2. 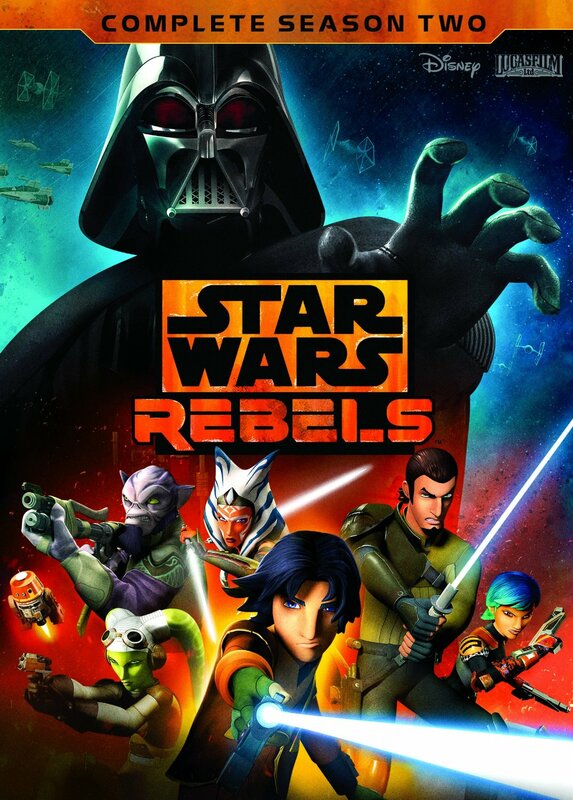 Each prize consists of 1 copy of Star Wars Rebels: The Complete Season 2 on DVD (retail value $39.99). Eligibility: One entry per person. Giveaway is open only to legal residents of Minnesota who are 18 years of age or older at time of entry. Void where prohibited by law. In order for an entry to be counted, the comment must be posted by 7:00 p.m. Central time on August 29, 2016, and contain a reference to a character from the Star Wars universe. Current Twin Cities Geek contributors and editors are not eligible for entry. Asajj Ventriss. I think she best embodies the struggle that any person would have to deal with if the Force were a reality–How do you not fall back on the use of something so powerful after dealing with things that have caused you so much hurt and pain, even if, at heart, your desire is simply to find peace within yourself. Always been a fan of Dengar.He’s the perfect thrown together character that somehow got an extensive history. Bobba Fett. And I know it’s a cliché and all, but if you complain about how boring that is, I’ll call you Jar Jar Binks.